St. Jude Children’s Research Hospital is a world-leading center in the fight against childhood catastrophic diseases such as cancer, sickle cell, pediatric AIDS and hundreds of other diseases. St. Jude Hospital covers all costs for families without insurance and will cover all costs above those reimbursable by third-party insurance for families who have insurance. Students in grades K-5 are asked to create an online fundraising page. 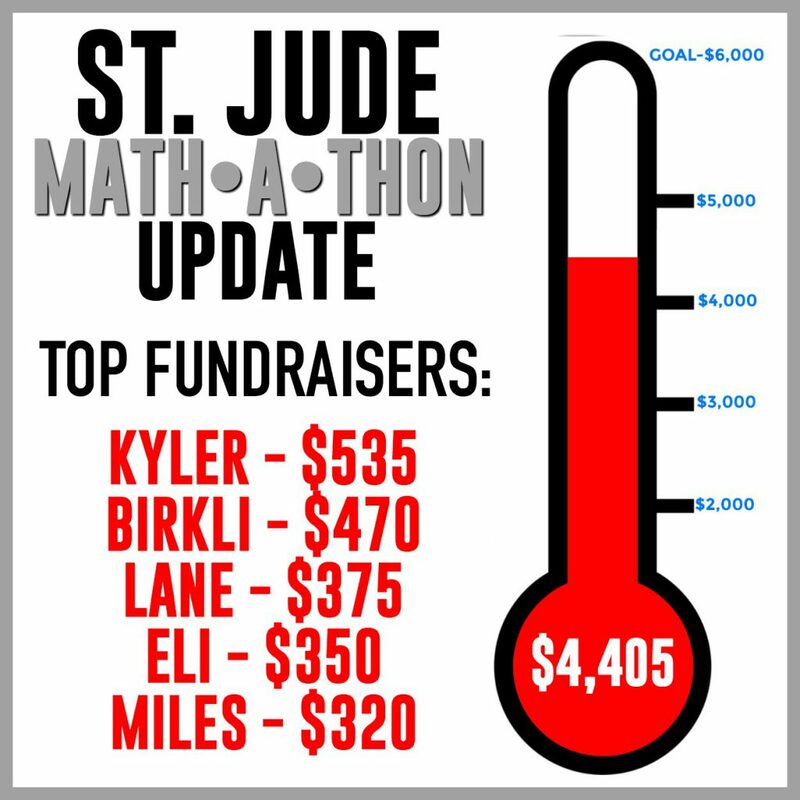 Help us reach our goal of $6,000! Students can collect donations until February 8.